The old men from the settlement who came to Ragnar by Floki lost a child and watched him die in the cold of ice and water. Ragnar knows the feeling after what happened when the Wanderer came around and did this to his own children. We have 2 new-born babies. One in Wessex and one in Kattegat. Porunn gives birth to a girl called Siggy after the died Siggy who saved Ragnar children. In Wessex the child is born from Athelstan and Judith get a boy Alfred that will be Baptized. King Eckbert thinks the child will be special because he sees Athelstan as a holy men. There will be a Baptism for Alfred but there is also a ritual with water that Bjorn does for the Gods with Siggy. After Bjorn names his child Siggy, Aslaug gets nightmares and see her children drown together with Siggy. This reverse to the old men again but also to her feeling of guilt. I do think she has seen the drowning and the saving of her children. I think she also has it because she wouldn´t have left the children alone in the first place. Ragnar tells Aslaug to never leaves his children unattended. In the scene where Judith gets punished for what she did with Athelstan, King Eckbert decide to humiliate both Judith´s ear for humiliation of Aethelwolf. King Eckbert tells Aethelwolf that Athelstan is a men of god. Eckbert connects Athelstan with Jesus because Athelstan crucified and resurrection from Jesus that is what happened to Athelstan. Eckbert also talks about Judith being the virgin mother Mary was and then the role of Athelstan would be god, an angel or Joseph. After this Athelstan wakes up after the blow of the light. The light is god. He is lying on the floor in the place Jesus has on the cross. When he got up he tells `I was dead but I am reborn`. From Christianity we go to the Gods of the Vikings. Floki gets a sign while he made a figure Odin and it tells him blood need spelled. 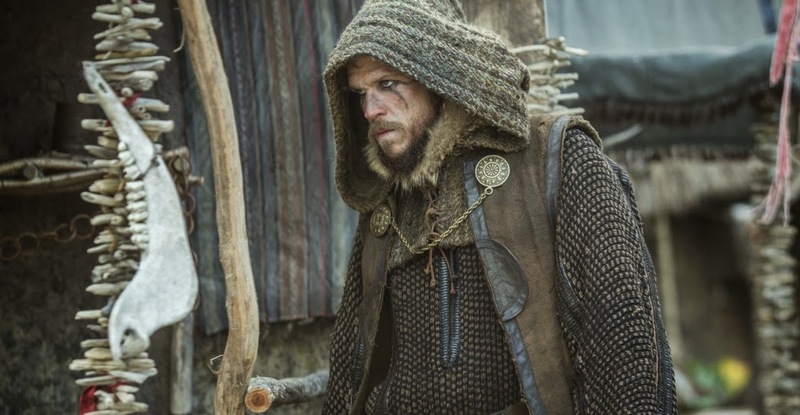 Floki gets into a flow of outrage in this outrage he hurt Helga but she knows like Floki knows that he doesn´t want to hurt her. She knows what will happen and she will keep it still. Floki goes from his own boatyard and goes to Kattegat but he musn´t been seen by anyone. Because of the flow the music takes you and the people of Kattegat he is unseen in Kattegat but when Rollo cross his path we will see the trickster god Loki in Floki again. There are three possibilities here in this scene. Floki turns himself into a dog as shape shifter, second could be it was a distraction set up by Floki his son the wolf changed in a dog Fenrir or it could be the disguise of Floki in the story of Freyr and Byggvir where Loki disguised himself into a dog. The dog distracts Rollo from Floki. Floki could pass him without getting noticed although I do think Rollo and Ragnar knew about Floki´s plan. But there I am not sure. Rollo´s reaction is kind of strange when the dog is left. It seems it vanished into nothing.